Look to RAW’s new beverage cooler this March for its new line of freshly pressed juice extract drinks ($10.50 each), served in a custom glass bottle. With the environment in mind, RAW will offer a $1 refund toward your next purchase upon the return of each bottle. Call RAW at (312) 831-2729 for a custom 3-day supply of juice to support your cleanse. Just in time for Easter, Fumare Meats will be featuring Pascal Ham. These locally produced hams are 1 to 2 pounds each and are a customary European tradition. The day before Easter, many eastern Europeans would pack a basket with some of their foods to be blessed at church. 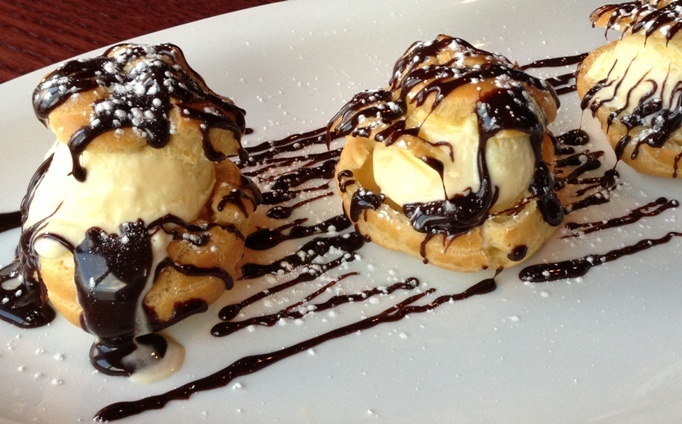 Be part of the tradition this year by stopping by Fumare for a unique Easter treat. If you haven’t tried EJ Sushi’s Godzilla Roll ($12.95), Shrimp Tempura Roll ($7.50) or Volcano Roll ($7.95), you can enjoy complimentary samples from the chefs every Saturday during the month of March. EJ will be rotating samples each Saturday so stop by every weekend to try them all. Bello Tea at the Chicago French Market will mark National Nutrition Month this March by promoting its matcha tea. Matcha is a Japanese green tea which has been part of the culture for more than 800 years. Its soothing velvety taste makes it a great drink for every day. 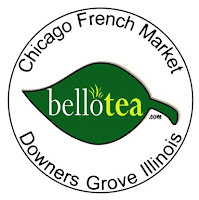 Stop by Bello Tea for their creative matcha drinks including Matcha Latte, Peppermint Matcha, Coconut Matcha Latte, Blueberry Matcha Latte, White Chocolate Matcha, and Chorella Matcha (prices ranging from $3.50 to $4.75). March also is National Caffeine Awareness Month and Bello Tea has a simple caffeine fact to share. Did you know that tea has far less caffeine than coffee? It’s a great alternative and Bello Tea has many varieties with different levels of caffeine. Black tea, mate and matcha contain about 30% of the caffeine of coffee. 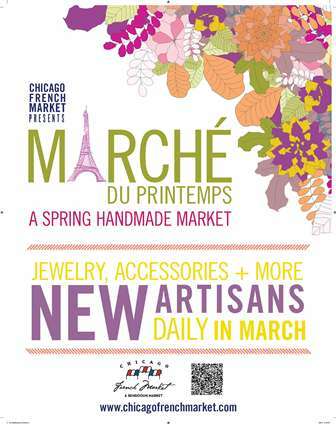 During the month of March, any customer mentioning the promo code CFM 10, will receive 10% off their entire purchase. After three weeks, Vassula Ryden’s new book, Heaven is Real But So is Hell, shot up to Number One on the BarnesAndNoble.com Top 100 list, and the book wasn’t even in stores yet. Moreover, not a single advertisement has been run. • Is there a Heaven, a hell and anything in-between? • Are we living in the last days? • If God is good, why is there so much suffering? • What is in store for our world? In the book, Heaven is Real But So is Hell, Ryden shares her encounters with God, and the many incredible miracles that have accompanied the “locutions” (interior messages) she’s received, particularly highlighting God’s warnings to our modern world, and his call for us to turn back to him. 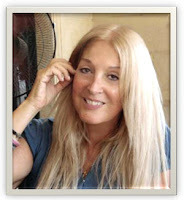 Ryden, who is based in Greece, has spoken to millions of people in 79 countries. 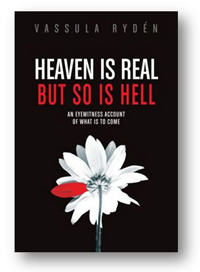 “Heaven is Real But So is Hell” is her first book to be released in America. For more information, visit http://www.HeavenIsRealBook.com. Celebrate March with Klay Oven Kitchen. During the entire month of March, the Indian food eatery will be featuring a very special entrée, Chicken Green Masala. The dish offers a boneless piece of chicken, simmered in fresh cilantro, mint and spinach sauce served with rice and Nan bread ($8.50). East Bank Club’s resident eatery, Maxwell’s at the Club (500 N. Kingsbury St., Chicago, IL; 312-527-5800), has planned a robust menu for Passover. Enjoy a lavish Seder Buffet complete with appetizers, entrées and desserts for Maxwell’s Passover Dinner, 5:30 p.m. to 9 p.m. March 25. This traditional meal includes kosher wine and Haggadahs will be available for each table. The buffet features appetizers of Gefilte Fish with Beet Horseradish, Spinach and Strawberry Salad with Almonds, Roasted Beets with Kale Salad and more. Maxwell’s signature carving stations of Braised Beef Brisket and Roast Turkey Breast also will be present. The spread also includes entrées of Lemon-Olive Roasted Chicken Breast with Potatoes, Noodle Kugel, Braised Pot Roast with Oyster Mushrooms and Zucchini Potato Pancakes. The dessert offerings are just as expansive as the main courses with Charoset, Macaroons, Matzo Baklava, Orange-Almond Flan, Flourless Chocolate Cake, seasonal fresh fruit and more. 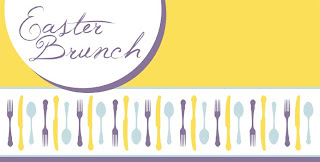 Maxwell’s Easter Brunch also is an extensive buffet, available 10 a.m. to 3 p.m. on Sunday, March 31. 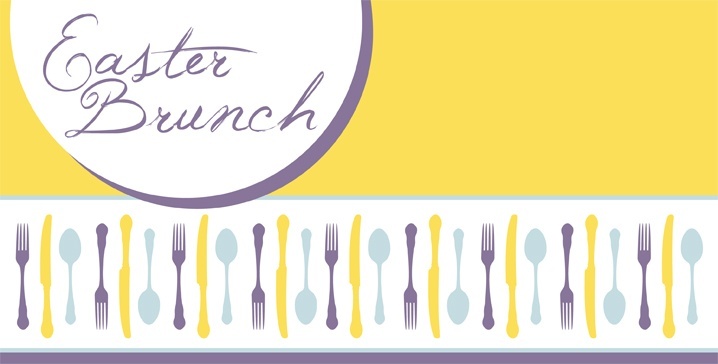 As a special treat, the Easter Bunny will make an appearance from 11 a.m. to 1 p.m. Classic breakfast items such as bacon, French toast, and Eggs Benedict will be offered along with signature treats including Sour Cream Pancakes and Chicken and Apple Sausage. For those looking for a more robust breakfast, the carving station will feature succulent Roast Beef Prime Rib, Baked Ham and Roast Turkey Breast. If you are looking for something light, Maxwell’s offers countless options, from Quinoa Salad with Cranberries and Walnuts to Shrimp and Edamame Salad. 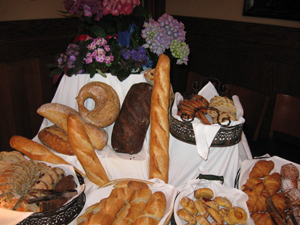 No matter what you are looking for, Maxwell’s Easter Brunch will offer a memorable meal. 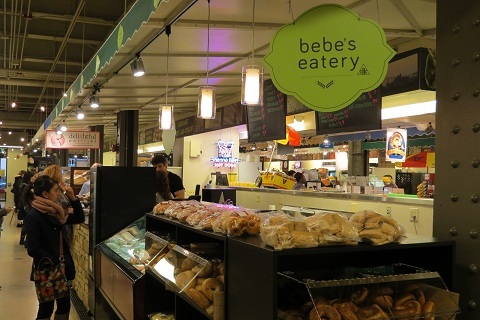 The Chicago French Market (131 N Clinton, Chicago, IL; 312-575-0306) features Bebe’s Eatery who will be celebrating Passover by taking catering reservations for their fresh and always kosher a la carte appetizers, soups, entrées and sides. All dishes are traditional in nature yet have a Bebe’s spin. Orders can be picked up or delivered through March 22. 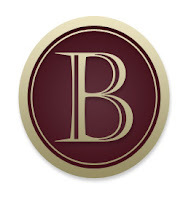 Further honoring the holiday, Bebe's Eatery will be closed throughout Passover (March 22 to April 3). The Chicago French Market is continuing to expand its food offerings for local professionals and Chicagoland commuters. The newest addition is Bebe’s Eatery, which joined the market March 1, provides a fresh and delicious kosher option for guests. Bebe’s will be open for breakfast, lunch and dinner using only the freshest ingredients to create delectable sandwiches, salads, wraps, pastas and sides. Visit Bebe’s in the morning for the perfect breakfast nosh of fresh baked muffins and Danishes along with the finest lox and egg bagel sandwiches. All dairy products are Cholov Yisroel while baked goods are Pareve and Yoshon and meat is Glatt Kosher. Bebe’s was created as a collaborative initiative from a variety of popular suburban North Shore kosher restaurants, including: The Sandwich Club, Emma’s Bagel Cafe and Srulie’s Essen Delicatessen. It will offer favorites from each restaurant including the Fire Cracker Chicken Wrap, Eggel Bagel Deluxe and the popular Schnitzel Pastrami Sandwich. Bebe’s Eatery will operate under the supervision of the Chicago Rabbinical Council and each meal is packaged to ensure freshness and kosher compliance. Every Friday Bebe’s will offer family-sized grab and go meals and a variety of challahs perfect for the Shabbat table or a weekend dinner party or brunch. From roasted chicken to kugel, Bebe’s Eatery is the only kosher grab and go in downtown Chicago. 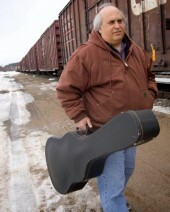 Folk musician Steve Justman joins the rush hour crowd from 4 p.m. to 7 p.m. March 21. Justman is a Chicago area musician who specializes in performing Americana music. He has performed in many of the best acoustic venues in the Chicagoland area and is excited to return to the Chicago French Market.